Click any image of this 1981 Chevrolet Corvette to engage HD Image Gallery. 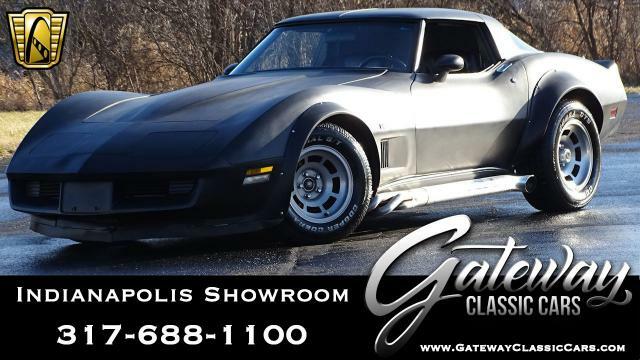 The Gateway Classic Carâ€™s Showroom of Indianapolis is proud to present this 1981 Chevy Corvette. This beauty is powered by the famous 350 V8 engine tied to the smooth-shifting 3 speed automatic. This slick silver exterior is paired with a deep blue interior that has been redone with new carpet and new leather in the last 2 years. This Vette rolled into our showroom with new tires on her looking for a new owner to burn some of that tread off. The current owner has had her for two years now, with the previous owner having had, and taken care of her for 23 years! Not only does this car have the T-tops and power windows for those days you want to feel the wind in your hair, it also has AC to keep you cool if you can drive fast enough. With power brakes and power steering, this car is ready to hit the road running with you behind the wheel. 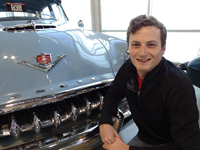 You will be pleased to find that the headlights, brake lights, parking lights, reverse lights, curtesy lights, and turn signals are all operational. The wipers gauges and horn are all responsive and work like a charm. 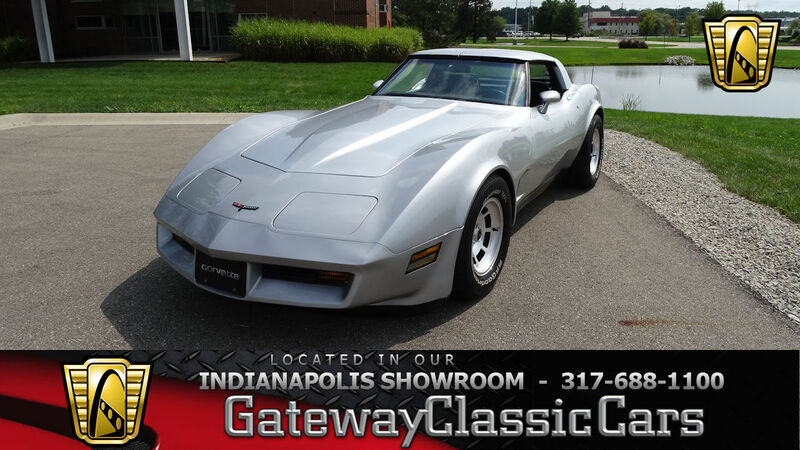 For more information on this 1981 Chevy Corvette, please call the Indianapolis showroom at (317) 688-1100 or email us at indianapolis@GatewayClassicCars.com. 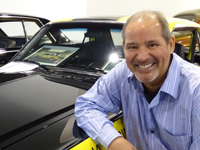 To see more of it, go to our website: www.GatewayClassicCars.com, where you'll see HD photos and an HD video of it in operation. Alternatively, if you want to see it in person, come to our Indianapolis Showroom, located at 4400 W 96th Street, Indianapolis, In 46268.